What can be said about The Man of Steel #1? 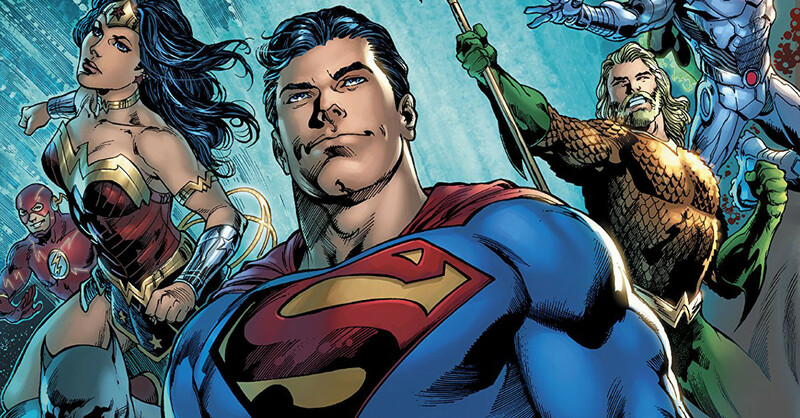 Does it dramatically redefine the Superman mythology? No. Does it seem like it’s about to radically change everything we know about Superman and Krypton? No. Does it seem like the coming of Brian Michael Bendis to DC Comics was over-hyped? A little bit. Is it a bad comic? No. Not even close. Is it a solid Superman story? Yes, it is that. But not much more than that. So far. Unfortunately, what The Man of Steel #1 delivers is about what I expected based on Brian Michael Bendis’ first Superman story in Action Comics #1000. The parts involving Superman being Superman and doing Super-things are incredibly good and interesting. 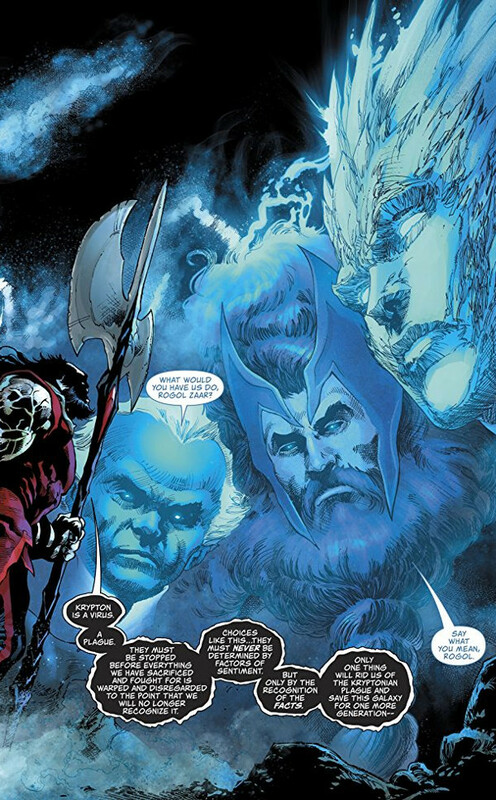 The parts involving Rogal Zaar – the new villain Bendis created, who has some kind of vendetta against The Kryptonian Race – are not. This leads to an odd paradox, given Bendis’ reputation for writing fantastic character-building scenes, which drives to the heart of the problem most writers seem to have when it comes to handling Superman. Superman is at his worst as a character, to borrow a phrase from Mark Waid in Kingdom Come, when the “Super” is emphasized over the “Man”. Throwing Superman against a never-ending series of seemingly invincible enemies is just boring. This does not mean, however, that Superman is a dull character. His stories are frequently dull, however, because writers can’t think of anything to do with him other than keep throwing more and more powerful villains at him. The best Superman stories, therefore, are the ones that explore who Clark Kent is as a person and show him having to work around the problems that all the super powers in the world can’t solve. Stories like Miracle Monday, What’s So Funny About Truth, Justice and The American Way? and All-Star Superman are fondly remembered because they saw Superman being tested on a moral battlefield. Of course this sort of story is far more difficult to manage, which is why many writers don’t bother. 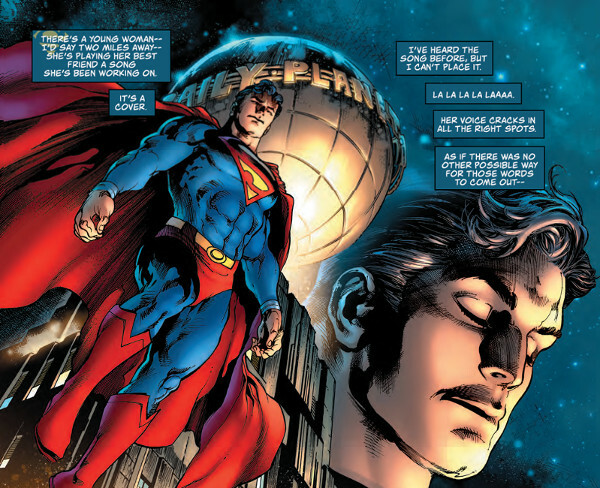 The grand irony of The Man of Steel #1 is that there are several moments where Bendis absolutely nails the character of Superman and puts his own unique touch on the Superman mythos. There is one moment, for instance, where Superman is listening for trouble on his nightly patrol and overhears a woman singing a song that he vaguely recognizes but can’t remember the name of. The problem is quickly put aside as a crisis arises but it’s a brief moment that shows how very human Superman is at his core. Who hasn’t heard a snippet of a song and briefly had their routine thrown into sharp relief as they tried to remember what it was? Bendis also manages that most difficult of all tricks and writes a Superman who is honestly funny and pokes fun at the villains he faces without being mean. I honestly heard Christopher Reeve’s voice in my head reading some of the dialogue in this issue. Which is why it is so heartbreaking that so much of this issue is devoted to introducing Rogal Zaar instead of seeing Clark Kent spend time with his wife and son. I’m sad to say that the artwork is about as uneven as the writing. 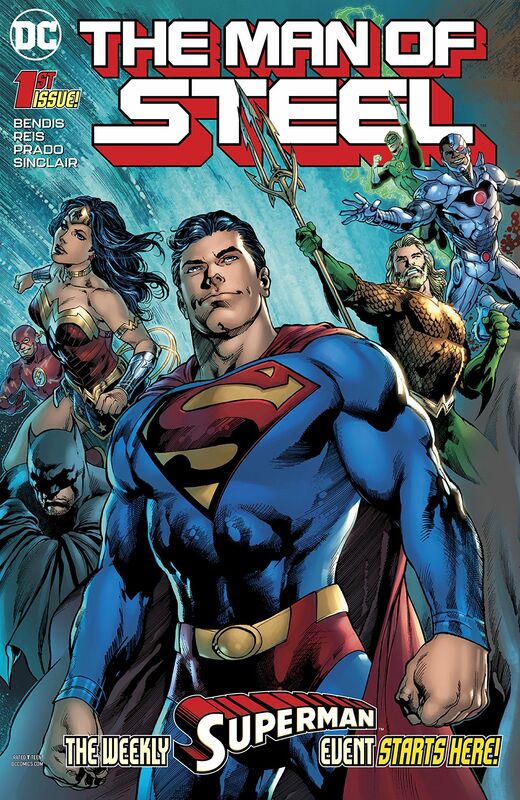 Ivan Reis is a fantastic artist, but Joe Prado seems to be a poor partner for him. Prado’s inks muddy some of Reis’ pencils, leaving some pages looking like watercolors rather than inked artwork in terms of the amount of definition that comes through. The colors by Alex Sinclair are nice and vivid, but the only two pages with an consistent view to them are the final two, which were drawn and inked by Jay Fabok. In the end, Man of Steel #1 is worth picking up if you’re a fan of Superman or any of the creators involved. So far, it doesn’t seem like this series will be the grand, reality-altering epic that was promised over a month ago. Still, it’s a solid Superman story with some good moments and good artwork. 7/10 The Man of Steel #1 releases on May 30, 2018!